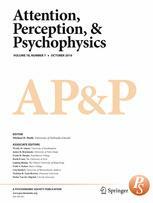 Does visual attention drive the dynamics of bistable perception? Detection of object onsets and offsets: Does the primacy of onset persist even with bias for detecting offset? Do different attention capture paradigms measure different types of capture?